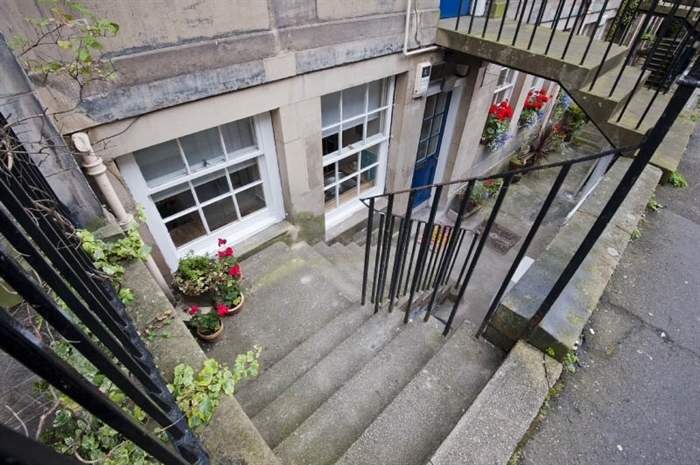 A stunning, refurbished garden apartment with large windows and French doors in the bedroom. 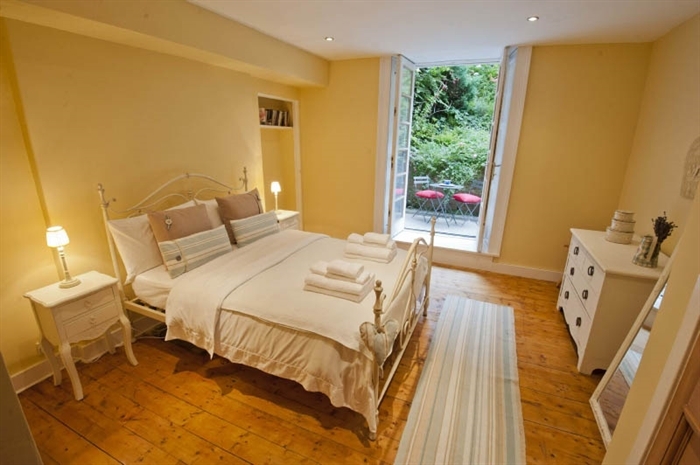 Decorated in a shabby chic style, with stripped wooden floors and reclaimed doors throughout. 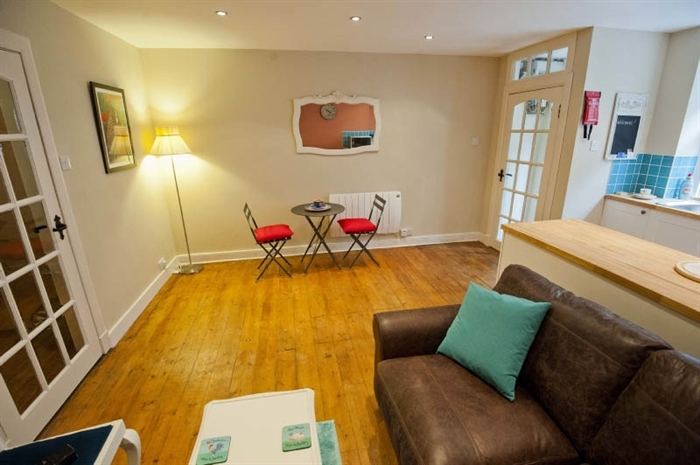 Open-plan living / dining / kitchen area with distressed leather couch, stylish chairs, French advertising artwork and a stunning mirror. 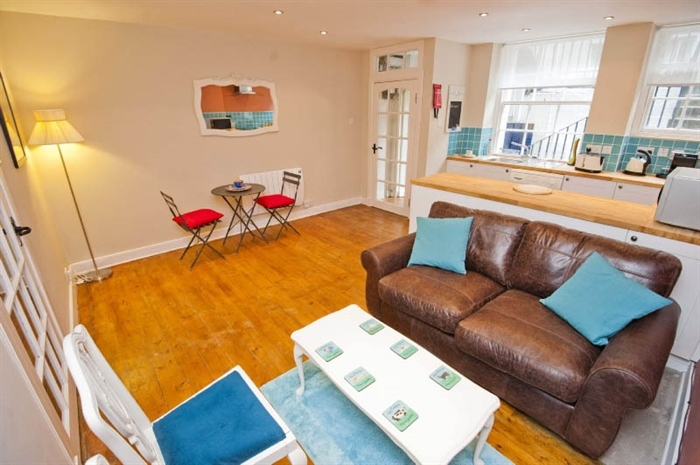 Completed with a bistro-style table and wall-mounted LCD TV. The living area is separated from the kitchen by a beautiful L-shaped oak worktop. The kitchen features stylish tiles, genuine French storage jars, vintage china and Joseph utensils. 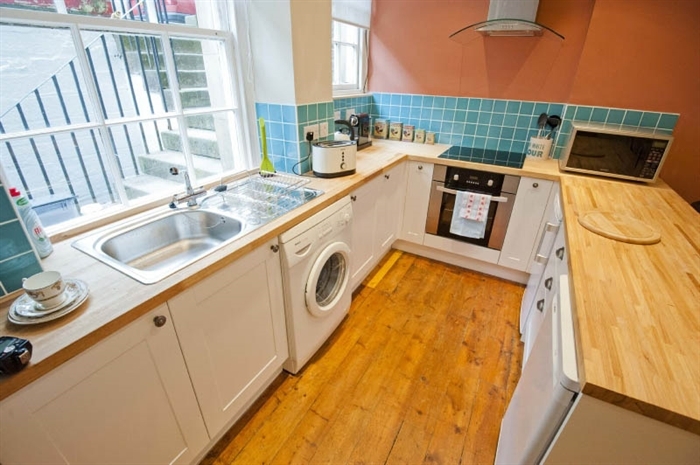 All brand new modern appliances are provided. The kitchen looks out onto the front courtyard. The stunning bedroom is decorated again in French shabby chic style with charming double wardrobe, chest of drawers and a full-length mirror. 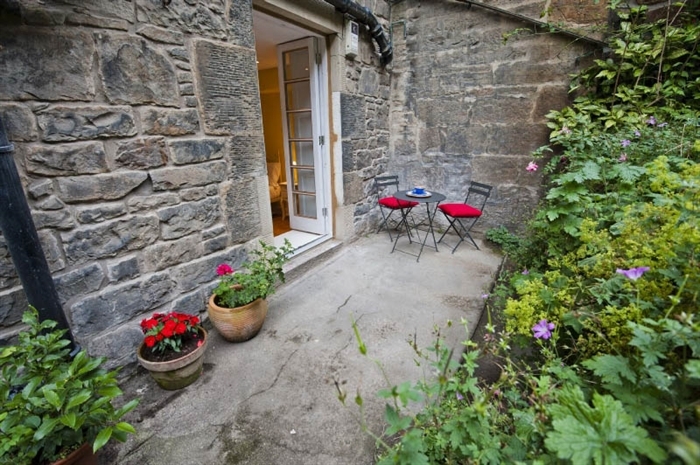 There are also French doors that lead out to a secret courtyard full of geranium pots, herbs and flowers. You can sit here in peace and quiet in your pyjamas and listen to the birdsong before hitting the hustle and bustle of the world outside. It is truly a haven in the middle of the city. 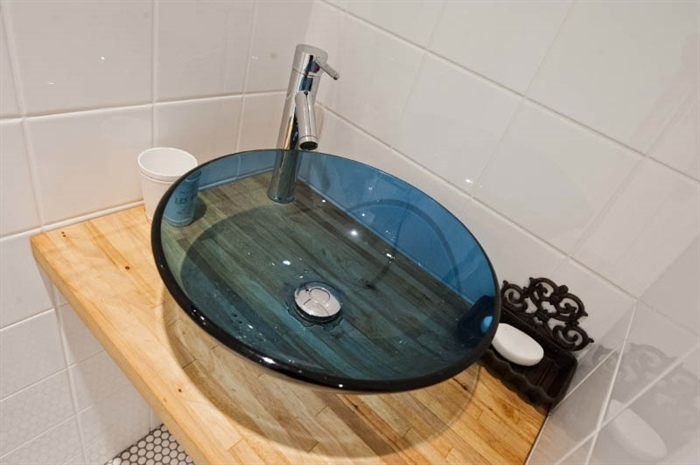 The charming bathroom features a Mira Sport power shower, French artefacts and a stunning blue glass sink. 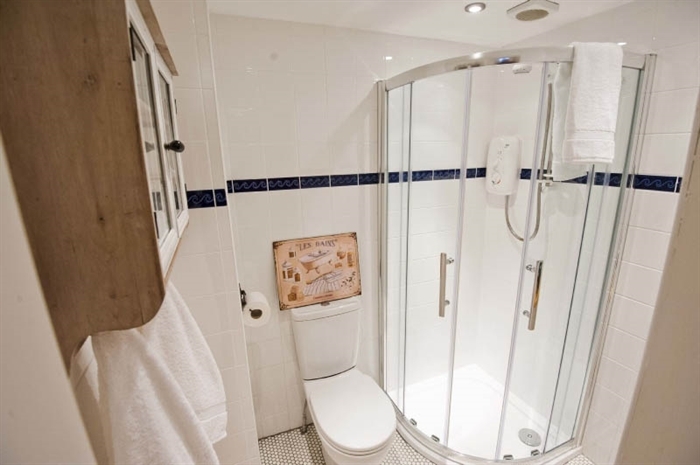 There is underfloor heating and plenty of soft, white towels to keep you warm when you emerge from the shower.